The Choir is a bold & fascinating initiative of renowned singer-songwriter Anne Schaefer and Larsen Music. Beginning January 2014, as Anne Schaefer explores and adventures the world-over, Kelby MacNayr will take the helm of the Choir as Musical Director and chart a new and inspiring course based on the Choir's founding mandate to explore contemporary and popular music outside the realm of traditional choir repertoire. 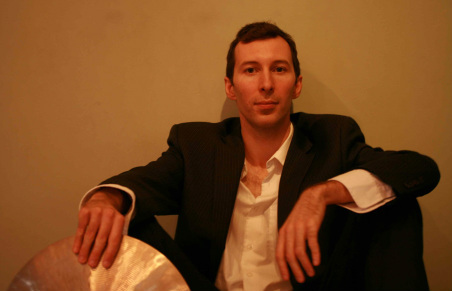 Drummer/ composer Kelby MacNayr brings a wealth of musical knowledge and artistic inspiration to the Choir drawing on a multi-faceted musical history and understanding of communal music making. MacNayr brings a career steeped in the music of the Great American Songbook, contemporary & traditional jazz, classical music, pop music, soul, the traditional music of Zimbabwe, Portugal & Brazil. Possible explorations/ repertoire/ horizons include the music of Prince, Paul Simon, Feist, Michael Jackson, Bjork, The Talking Heads, Tracy Chapman, Rufus Wainwright & MORE! Kelby MacNayr has been fortunate to learn from/ apprentice with some of the most respected performers in the vocal/ choir tradition. Kelby has honed his skills performing with, accompanying, arranging and conducting workshops in world-music topics for Voices Intimae, Ensemble Laude, The Linden Singers, Viva Youth Choir, Bruce Moore, Diane Loomer, Kim Pacheco, Gary Froese, Fran Pollet, Louise Rose, Gail Deadrik (Natalie Cole), Eric Dozier, Alex Cuba, Cyrille Aimée & Diego Figueiredo. Kelby has been a member of Vocal Faculty Centrum's Jazz Port Townsend Festival & Workshop (WA. USA) since 2009, the University of Idaho's Lionel Hampton Jazz Festival since 2013, has been a guest lecturer for the University of Victoria. Kelby has been the Artistic Director for the Jazz at the Gallery Series, Art of the Trio Series, Night of The Cookers and Vocalismo! He produces & programs concerts and events in the West Coast of Canada and the US.